The BBC recently shut down the web search option it used to have on bbc.co.uk, and so I thought it might be an appropriate time to look at the rise and fall of searching the web using the BBC. Over the last couple of days I've been looking at some of the user-testing carried out by the Corporation in 2001 prior to launching the service. 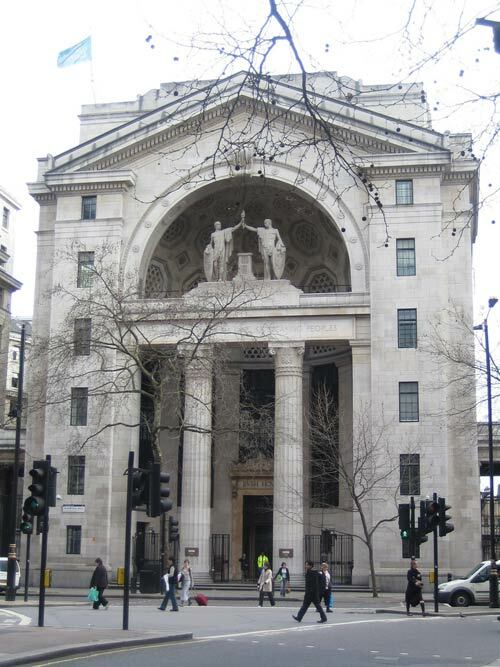 At this stage the BBC's New Media department was housed in one wing of Bush House, alongside the BBC World Service. Whilst the rest of the industry was experiencing the dotcom crash, the BBC's New Media department was recruiting and expanding rapidly, and soon outgrew the Bush House office space. At first the search team were moved into a rented office in another wing of the building, and then were 'exiled' from Bush House altogether. We moved to a BBC office in Mortimer Street, which was the home for BBC Films, and had been occupied by the digital channels Choice and Knowledge. The BBC's technology partner for web search was initially Google. Given the Internet behemoth they are today, it is difficult to remember how Google was positioned back in 2001 when the deal was struck. Google was still a relative newcomer to the search engine scene, and still growing in size thanks to word-of-mouth amongst geeks. 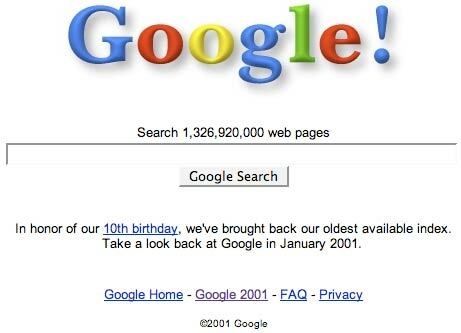 Their recently reissued 2001 anniversary index gave us a glimpse back to a time when Google's USP was not just accurate results - but no adverts! In another sign of how times have changed for Google, when I used to deal with them, my direct contact about the BBC's account and invoices was Marissa Meyer. They seemed a natural partner for the BBC, since they offered good results which were non-commercial, and at that time were willing to provide a completely white label service. It is noticeable that in the user-testing studies from 2001, the search engines being mentioned most by the users are Ask Jeeves and Yahoo!, and even the little-lamented Northern Light. Google was briefly mentioned by users in the work carried out for the BBC by Flow Interactive as being 'good when it gets things right first time'. Web search became an increasingly important strategic plank for the BBCi brand. Research had shown that users imagined the Internet as a series of inter-connected sites, with their browser's homepage at the centre. 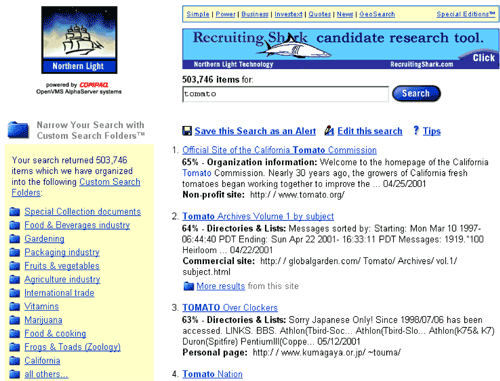 This homepage, more often than not, included a web search option, and in 2001 it was mostly AOL or MSN or Yahoo! 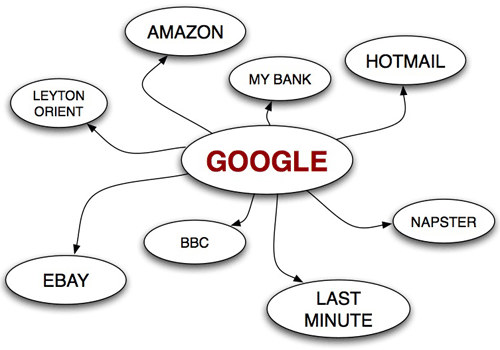 - although the diagram I use to represent it these days always has Google at the centre of the universe. There was also a regulatory issue at stake. The BBC's charter granted permission for the bbc.co.uk website, but one of the conditions was that it should provide a 'trusted guide to the web' for the UK. That brief had been interpreted in the form of Webwise, which educated novice Internet users, and Webguide, which was a directory of external sites that the BBC recommended. The growth of the world wide web made maintaining a comprehensive directory of 'good stuff on the net' a futile task - unless you were focused on a specific area, like WebGuide Scotland, which continues to this day. Providing a safe environment to search the web seemed like a viable alternative way of achieving that goal for a wider audience. With the aim of getting the BBC homepage to be the homepage for Britain as a whole, search was given more prominence. In addition to having the search box in the toolbar, a panel in the middle of the original BBCi homepage design, 'Communicate', was changed in early 2002 to feature web search. 'Communicate' had been an attempt to gather together all the 'community' sections of the site, like the message boards, h2g2, and the forerunner to the BBC News "Have your say" message boards. Next week I'll be looking at the next iteration of the BBC's search results, and at how search influenced the design of the 'classic' 2002 BBCi homepage. By Martin Belam on 27 March 2009.